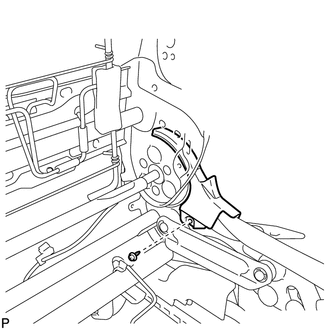 (a) Engage the 2 clamps to install the front seat wire. (b) Connect the 4 connectors. 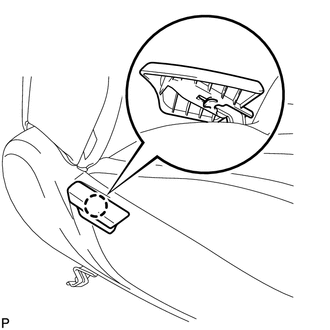 (a) Engage the claw to install the front lower seat cushion shield LH as shown in the illustration. 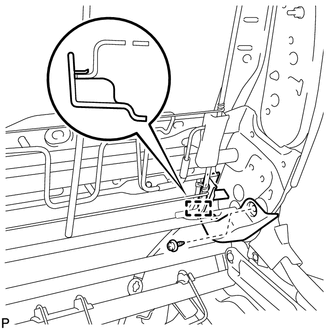 (a) Engage the claw to install the front lower seat cushion shield RH as shown in the illustration. 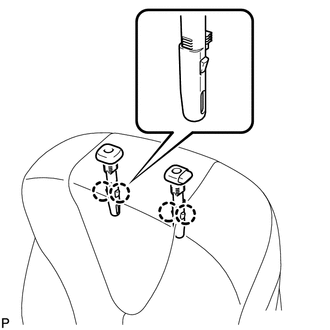 (a) Install the upper reclining adjuster inside cover LH with the screw. 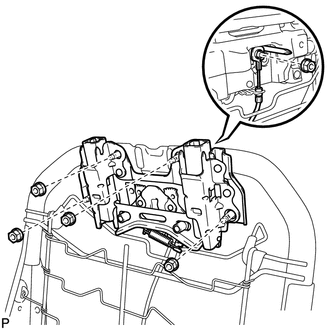 (b) Install the lower reclining adjuster inside cover LH with the screw. 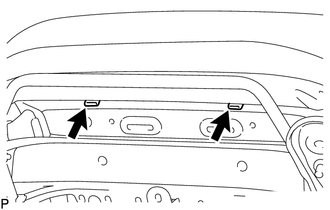 (a) Install the upper reclining adjuster inside cover RH with the screw. 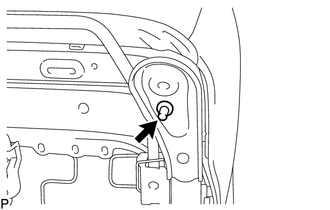 (b) Install the lower reclining adjuster inside cover RH with the screw. 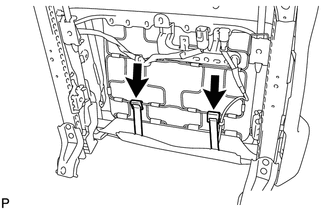 (a) Install the lower active headrest unit with the 2 nuts. 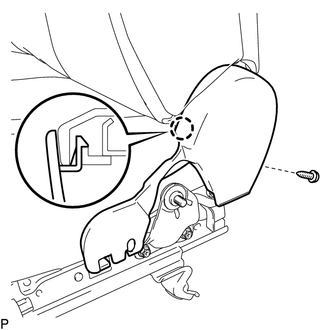 (a) Install the upper active headrest unit with the 4 nuts. 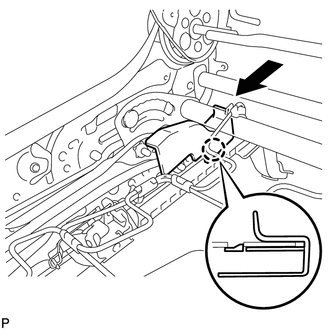 (b) Engage the cable clamp to connect the cable of the lower active headrest unit with the nut. 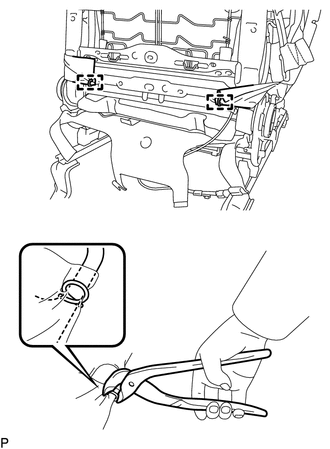 (a) Using hog ring pliers, install the separate type front seatback cover to the separate type front seatback pad with 10 new hog rings. Be careful not to damage the separate type front seatback cover. 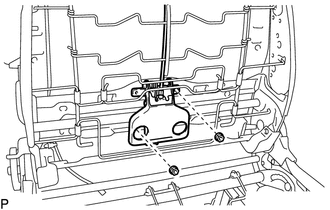 Be sure to securely install the hog rings as shown in the illustration while preventing wrinkles from forming on the separate type front seatback cover. 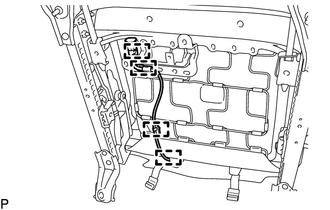 (a) Temporarily install the separate type front seatback cover with pad to the front seat frame assembly with adjuster. 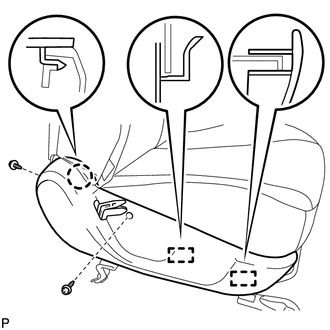 (b) Engage the 4 claws to install the 2 front seat headrest supports. (c) Using hog ring pliers, install 2 new hog rings. (d) Using hog ring pliers, install 2 new hog rings. (e) Engage the 4 hooks. 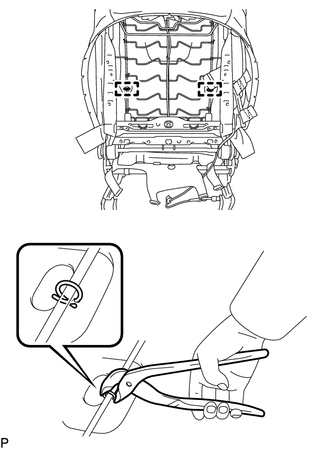 (f) Engage the guide to install the bracket of the separate type front seatback cover with the nut. 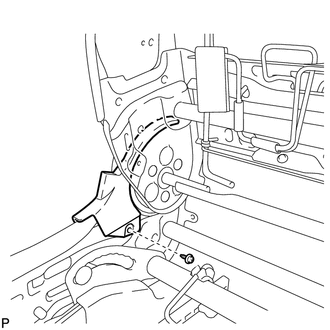 For vehicles with front seat side airbag assembly, the front seat side airbag assembly may not be activated normally unless the separate type front seatback cover is securely installed. Check that the strap is not twisted after installing the bracket. 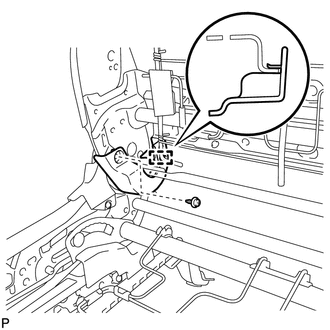 (a) Engage the 2 guides as shown in the illustration. (b) Engage the 14 claws. 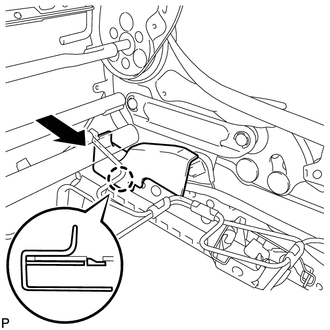 (c) Install the front seatback board sub-assembly with the 2 screws. 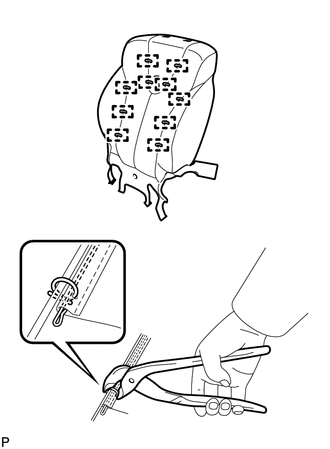 (a) Using hog ring pliers, install the separate type front seat cushion cover to the separate type front seat cushion pad with 18 new hog rings. Be careful not to damage the separate type front seat cushion cover. 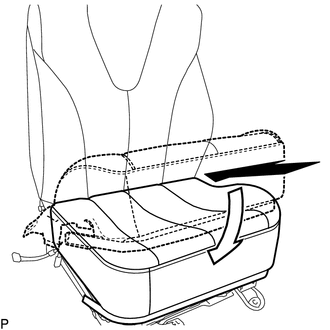 Be sure to securely install the hog rings as shown in the illustration while preventing wrinkles from forming on the separate type front seat cushion cover. 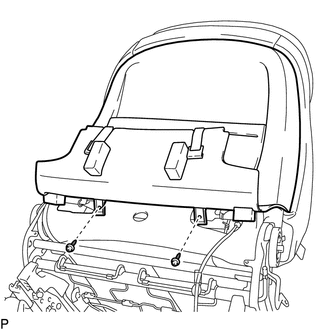 (a) Temporarily install the separate type front seat cushion cover with pad to the front seat frame assembly with adjuster. 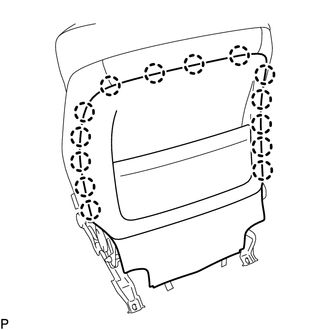 (b) Engage each hook as shown in the illustration. (c) Install the 2 clips. 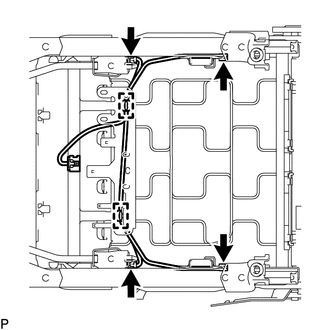 (d) Engage the 4 clamps to connect the front seat side airbag assembly wire harness. 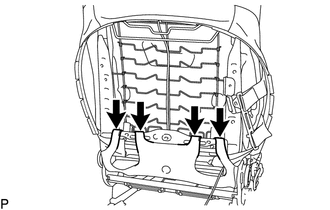 (a) Install the 2 front seat cushion protectors. 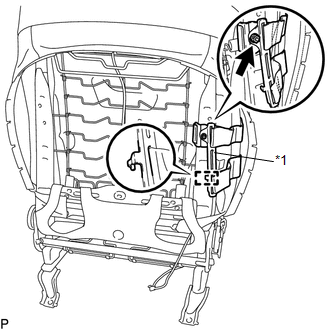 (c) Install the front inner seat cushion shield with the screw. 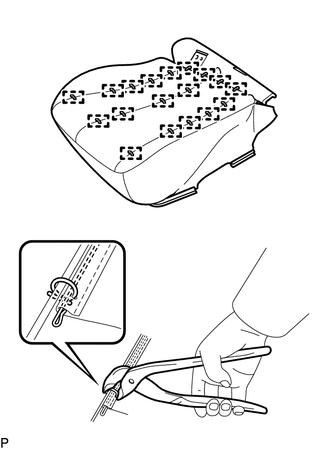 (a) Engage the 2 guides and claw to install the front seat cushion shield. (b) Install the 2 screws. (c) Engage the 2 hooks. 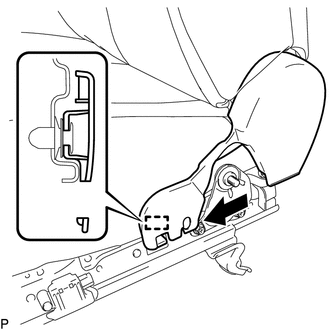 (a) Engage the claw to install the reclining adjuster release handle. 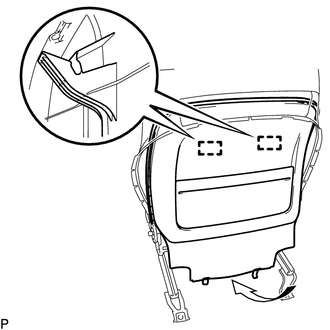 (a) Install the seat adjuster cover cap.